Star of Jersey Boys Broadway and Las Vegas! Suggested Donations of $20 accepted at door. 100% of all donations go directly to the recipient. Live bands will be playing all day! One of the Best Tribute to Journey and More! 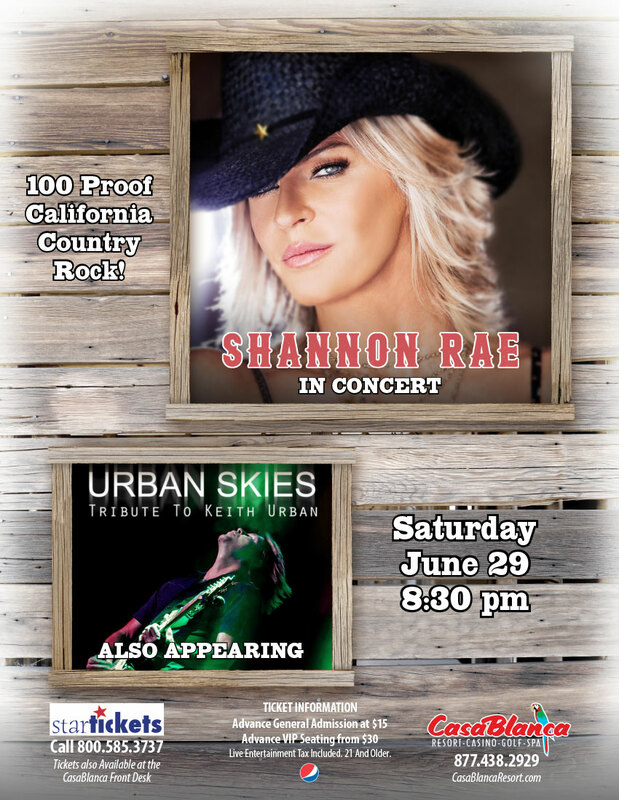 Shannon Rae is 100 Proof California Country Rock! Urban Skies pays tribute to one of the most exciting and exhilarating performers in music today!